Jessica draws from a wide range of experience in natural resources and project coordination for her work with The Freshwater Trust. She holds a bachelor’s degree and a master’s degree in Environmental Geography with an emphasis in fluvial geomorphology, river restoration and Geographic Information Systems from the University of Oregon. Jessica has worked in research, environmental education and river restoration for the University of Oregon, Opal Creek Ancient Forest Center and the Grande Ronde Model Watershed. Her passion for rivers led her to the Grande Ronde Basin and to her current role as Restoration Project Manager with The Freshwater Trust. 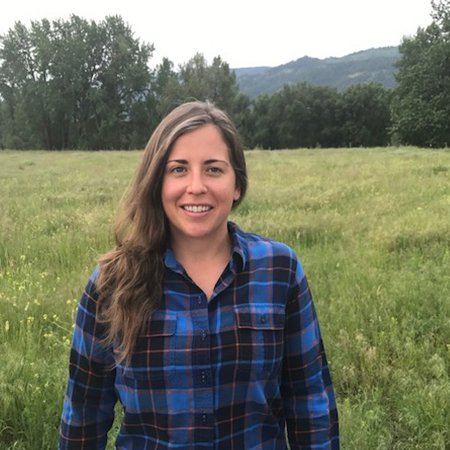 Based out of Enterprise, Oregon, Jessica focuses her efforts on collaborating with landowners and local agencies to increase instream flow and improve habitat for native fish species while maintaining productive working lands. Outside of the office, Jessica enjoys exploring the Wallowas, trail running, canoeing and gardening.